Reports that Syrian Kurdish YPG fighters have completely left Syria's Manbij region are exaggerated, as their withdrawal is still underway, a source at Turkey's foreign ministry said on Monday. The militia controlling Manbij said the last YPG fighters had left on Sunday after completing their mission of military training of local forces. 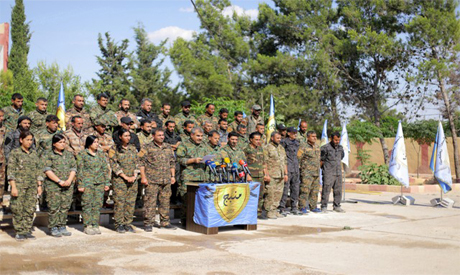 The Manbij Military Council, which controls the town, has repeatedly said their were no YPG fighters there, only some YPG military advisers. "We find reports that the PYD/YPG have completely withdrawn from Manbij to be exaggerated. The process is still continuing," the source said. The PYD is the political arm of the Syrian Kurdish YPG militia, which is backed by the United States in the fight against Islamic State. That support has infuriated Ankara, which sees the YPG as an extension of the outlawed Kurdistan Workers Party (PKK).